With Peaches n Creme yarn that I got from Kat for the August CAT PAC. 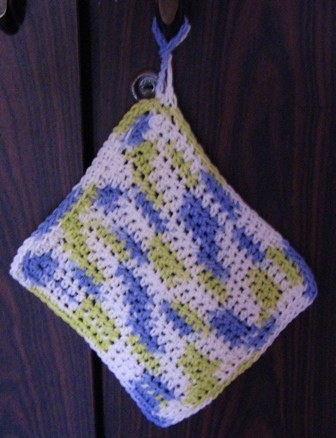 My dishcloth #2, the pattern on the wrapper is just rows of hdc, and I used size I hook, one size higher than recommended, Crystalites. The hook was also part of the same CAT PAC. 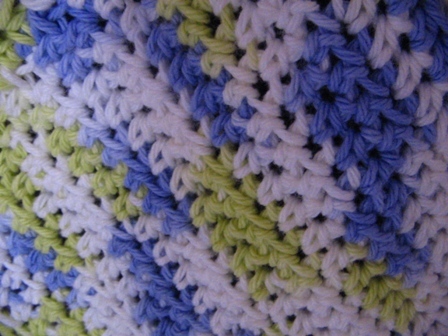 Previous post: Knot stitch poncho!